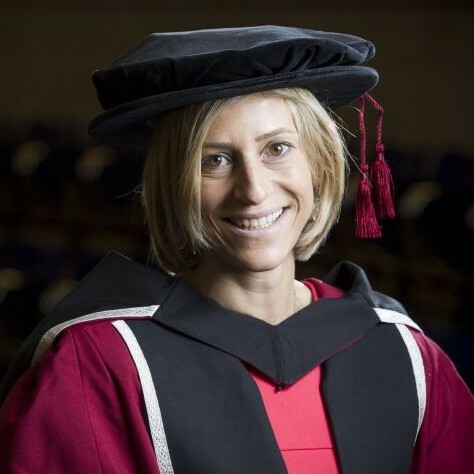 Emily Maitlis was awarded an honorary doctorate from Sheffield Hallam University recently for her achievements in the world of journalism, at a ceremony held at Sheffield City Hall. Emily was brought up in Sheffield and both her parents still live in the city. Despite having spent many years living abroad and in London, she regularly visits Sheffield and relished the opportunity to relive memories of concerts she attended at City Hall as a teenager. She was honoured for a distinguished broadcasting career in which she has reported on some of the most significant news events in recent times. From the handover of Hong Kong in 1997 to reporting live for the BBC on the US elections in 2012, Emily has travelled the world in search of the stories which make the headlines. She added: “A huge thank you to Sheffield Hallam for this honour, it means a great deal and I’d like to thank my parents here today, who have encouraged me to be intellectually brave, curious and unafraid to speak out. Of course, if Emily really did begin to challenge Glow Bull Warning, she would not have much future at the British Broadcasters of Cods-wallop!